Lady Leshurr	has had 2 events featured on GiggedIn in the past. We totally froth over this artist and will have them again soon. An English grime and hip hop rapper, singer, and producer from Kingshurst, Solihull, UK. She is best known for her Queen's Speech series of freestyles, the fourth of which went viral in 2016. The Rap Game season 2 competitor Nia Kay stated that Leshurr was one of her influences due to her uniqueness and rap skill. Her subsequent freestyle, Queen's Speech 5, was called "brilliant" and "2015's crowning freestyle" by Spin. Leshurr played one of the lead female roles in Vertigo Films' 2009 film 1 Day. She won second place in the Best Female category of the Official Mixtape Awards 2011. 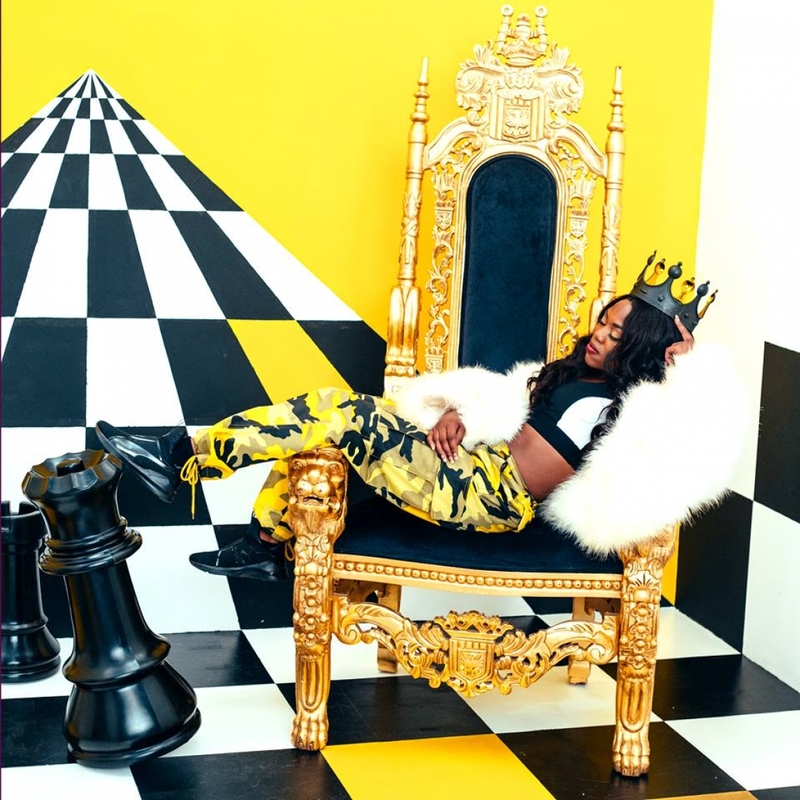 To complement the music releases, she has designed a range of merchandise, the "Friggin L" clothing line named after her 2011 mixtape Friggin L.
Leshurr came out as pansexual in September 2018.